Have one of our highly experienced analysts spend on average of 2 hours per week searching the federal marketplace looking for available opportunities on behalf of your firm. Federal Websites Monitored: FBO.gov, acquisition.gov, apfs.dhs.gov, as well as individually targeted agencies that are good fits for your firm. Forecasting: We monitor federal forecasting sites to inform you of opportunities in a specific agencies budget that meets your firm’s capabilities. 8(a) Contract Catcher: We monitor 8a firms in your industry that are near or post-8(a) graduation and identify the contracts they hold. This way our clients can be the first in the door getting first access to these sole-source contracts. Generally this occurs before your 8(a) competition becomes aware of the procurement opportunity. 8(a) firms are certified and received the benefits of the 8(a) program for a 9 year period. A federal contract with a life span that exceeds the firm’s 8(a) certification can be awarded. 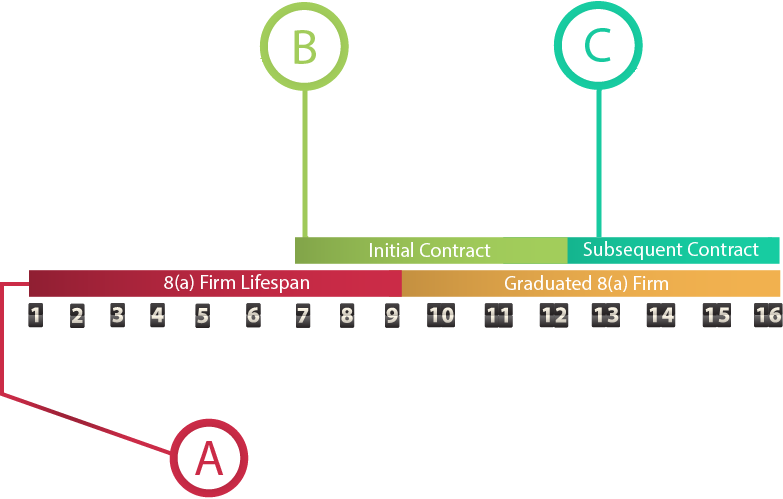 The 8(a) firm must only be 8(a) at the time of the contract award. Many of these contracts are recurring and after the current 8(a) firm has graduated the contract will be awarded to a new 8(a) firm on a sole source basis.